The World Basic Education Committee said the population of Nigerian children increased from 10.5 million to 13.2 million. The Executive Secretary of UBEC, Dr. Hammid Bobboyi said this in Abuja on Thursday during a briefing of the United Nations Children for Children outside school. Bobboyi, who was represented by Bello Kaigara, Director of Social Mobilization, said the Demographic Health Survey in 2015 confirmed the development. He said: "In recent years, Nigeria has been besieged by Boko Haram and many children are out of school. Adding the number of displaced children and the increasing number of births, you find that our UNICEF DHS source published in 2015 reveals that the number of children out of school has grown to 13.2 million. This also affects the implementation of certain training conditions signed by Nigeria. " 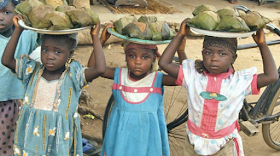 UNICEF said it is working with more than 200 traditional leaders from 19 northern states to discuss the handling of children outside of Nigerian school age, noting that it was mainly from the northern region. The United Nations Office said that the reason why more children were out of school in the North "was rooted in barriers to socio-cultural and economic environment, education costs, poverty and negative perceptions of formal education." the population of children outside of Nigeria's unit increased from 10.5 million to 13.2 million. The United Nations Office said that the reason why more children were out of school in the North "had roots in socio-cultural and economic environmental barriers, education costs, poverty and negative perceptions of formal education."